This rear living Gateway fifth wheel by Heartland RV is great for family gatherings, or entertaining guests at the RV park. When you enter you will find a spacious interior thanks to double slides in this area alone, and a third slide up front. Notice the sofa slide to your immediate left as you enter. Opposite an identical sofa with large flat screen TV behind in a larger slide out that also contains the dining table with two chairs and the refrigerator, plus pantry. Along the rear wall there is additional seating, plus one end table and overhead storage the entire width of the unit. To the right of the entry door you will find the rest of your kitchen appliances. It will be easy to whip up meals and snacks that your family enjoys. There is a three burner range, large counter area with a double sink, plus a bar top and overhead storage. Head up the steps off the road side just beyond the kitchen area which leads to a complete bath and front master suite. The bathroom provides a tub/shower, toilet, and vanity with sink. There is also a medicine cabinet overhead. Just outside the bathroom, in a slide out opposite, you will find storage, and the entrance to the master suite. There is a slide out standard queen or optional king size bed, and a large wardrobe for all of your things. There is even a sliding access door leading into the bathroom for added convenience, plus so much more! If you're in the market for an RV and have specific requirements for your RVs floorplan and amenity, then you'll want to consider purchasing new. This will ensure that you get exactly what you want in a camper. In addition, most new RVs comes with manufacturer warranties. Our selection of RVs includes travel trailers, motorhomes, fifth wheels, toy haulers, pop-up campers and more. We only offer brands from top manufacturers like Pleasure Way RV, Heartland RV, and More. As a New York RV Dealer we also offer RV Service, RV Parts, and More. 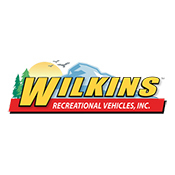 Please Contact Us to help you find your next RV.